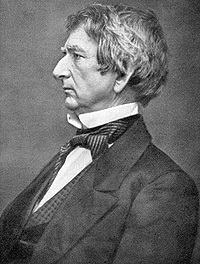 To North Carolina Democrat John Gilmer, to whom a Cabinet position had been offered, Mr. Lincoln wrote regarding his views: “May I be pardoned if I ask whether even you have ever attempted to procure the reading of the Republican platform, or my speeches, by the Southern people? If not, what reason have I to expect that any additional production of mine would meet a better fate? It would make me appear as if I repented for the crime of having been elected, and was anxious to apologize and beg forgiveness. To so represent me, would be the principal use made of any letter I might now thrust upon the public. My old record cannot be so used; and that is precisely the reason that some new declaration is so much sought. ART. 13. No amendment shall be made to the Constitution which will authorize to give to Congress the power to abolish or interfere within any State with the domestic institutions thereof, including that of persons held to labor or service by the laws of said State. This amendment was adopted by the House on February 28, yeas 133, nays 65; the Senate also passed it during the night preceding the 4th of March, though in the journals of Congress it appears dated as of March 2. The variation is explained by the fact that the legislative day of the journal frequently runs through two or more calendar days. 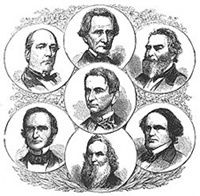 In that body the vote was, yeas 24, nays 12, and it was approved by President Buchanan, probably only an hour or two before the inauguration of his successor. Mr. Lincoln alluded to this amendment in his inaugural address, reciting its substance and giving it his unreserved approval. ‘I understand,’ he said, ‘a proposed amendment to the Constitution – which amendment, however, I have not seen – has passed Congress, to the effect that the Federal Government shall never interfere with the domestic institutions of the States, including that of persons held to service. To avoid misconstruction of what I have said, I depart from my purpose not to speak of particular amendments so far as to say that, holding such a provision to now be implied constitutional law, I have no objection to its being made express and irrevocable. The new Administration soon after transmitted this joint resolution to the several States to receive their official action. But nothing came of it. The South gave no response to the overture for peace, and in the North it was lost sight of amid the overshadowing events that immediately preceded the outbreak of hostilities. Roy P. Basler, editor, The Collected Works of Abraham Lincoln, Volume IV, p. 130 (Letter to William S. Speer, October 23, 1860). Richard H. Sewell, Ballots for Freedom: Antislavery Politics in the United States, 1837-1860, p. 364 (Roy P. Basler, editor, The Collected Works of Abraham Lincoln, Volume IV, p.161). John G. Nicolay, A Short Life of Abraham Lincoln, p. 167. Don E. and Virginia E. Fehrenbacher, editor, Recollected Words of Abraham Lincoln, p. 193 (Letter from Albert Hale to Theron Baldwin, January 16, 1861). Benjamin Thomas, Abraham Lincoln, p. 226. Donald M. Potter, Lincoln and His Party in the Secession Crisis, . Roy P. Basler, editor, The Collected Works of Abraham Lincoln, Volume IV, p. 160 (Letter to Alexander Stephens, December 22, 1860). Roy P. Basler, editor, The Collected Works of Abraham Lincoln, Volume IV, p. 151-152 (Letter to John Gilmer, December 15, 1860). 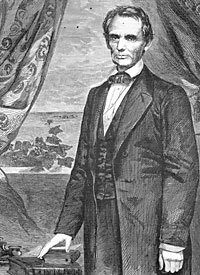 Allen C. Guelzo, Abraham Lincoln: Redeemer President, p. 254. Don E. and Virginia E. Fehrenbacher, editor, Recollected Words of Abraham Lincoln, p. 6-7 (printed in New York Times, January 14, 1861). 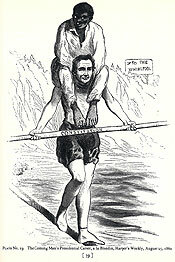 George H. Mayer, The Republican Party, 1854-1964, p. 79. Burton J. Hendrick, Lincoln’s War Cabinet, p. 135. Moorfield Storey, Charles Sumner, p. 193-194. Allan Nevins, The Emergence of Lincoln: Prologue to Civil War, 1859-1861, p. 403. John G. Nicolay and John Hay, Abraham Lincoln: A History, Volume III, p. 235-237. Maurice G. Baxter, Orville H. Browning: Lincoln’s Friend and Critic, p. 115-116. Allan Nevins, The Emergence of Lincoln: Prologue to Civil War, 1859-1861, p. 404. Frank Van der Linden, Lincoln Road to War, p. 217. Lucius E. Chittenden, Recollections of President Lincoln and His Administration, p. 71-72. Lucius E. Chittenden, Recollections of President Lincoln and His Administration, p. 72-74. Robert Morse, Abraham Lincoln, Volume I, p. 203. Allan Nevins, The Emergence of Lincoln: Prologue to Civil War, 1859-1861, p. 438-439. Allan Nevins, The War for the Union: The Improvised War, 1861-1862, p. 14 (Representative Nelson described his interview in the Knoxville Whig, March 19, 1861). Frederick Douglass, Life and Times of Frederick Douglass, p. 488-489 (Speech at the Freedmen’s Monument, April 16, 1876). Don E. and Virginia E. Fehrenbacher, editor, Recollected Words of Abraham Lincoln, p. 386.